Our products offer the durability and performance you need for years to come. 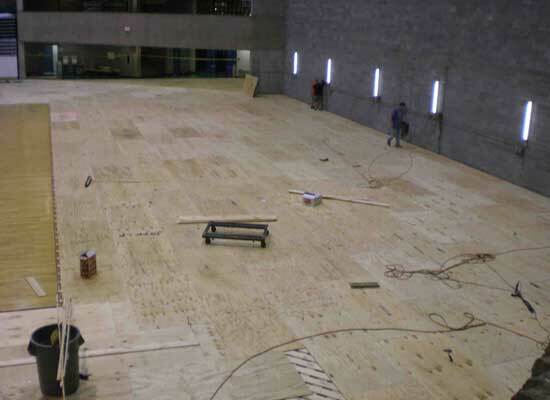 At Dynamic Sports Construction, we install synthetic hardwood and rubber gym flooring for indoor sports facilities nationwide. We strive to provide the best state-of-the-art products to meet our customers’ needs. 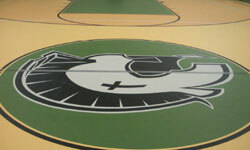 We understand the importance of having court flooring that is both built with long-lasting materials to withstand heavy traffic and offer superior energy return for athletic performance. Professional InstallationWe are your direct supplier and installer of athletic or multi-purpose synthetic hardwood and rubber flooring. 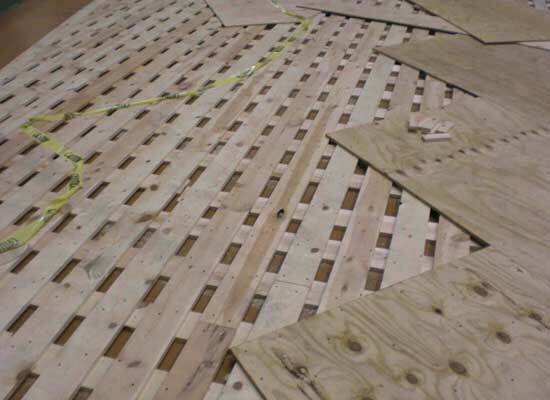 Our environmentally-friendly products have superior quality and physical properties that can contribute to your projects earning LEED certification. Continued SupportOur experts are available from start to finish and long after your project is completed. 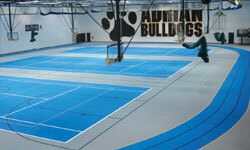 We’ve been the country’s premier sports flooring contractor since 2004. 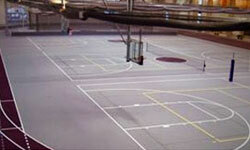 Durable AffordabilityWe use synthetic flooring products for both resurfacing and new court construction projects. Because they are tested and produced in an ISO-9001 certified plant, we can guarantee their durability. 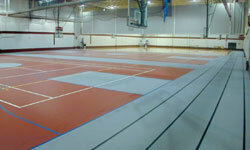 This inevitably keeps your project costs down for the life of your multi-purpose court flooring application. Count on us for top-notch construction and installation. 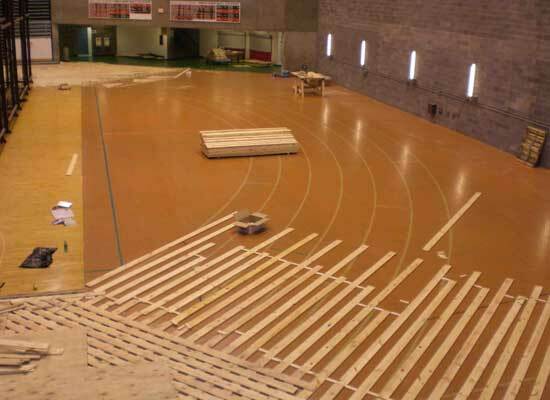 Whether you need sports flooring, running track surfacing or equine flooring, we are the company you can trust for a high-quality installation. Contact us today to find out more about our unique products and how we can serve your needs. Achieving our ongoing goal for environmentally sound, performance based solutions with no lead, no mercury or hazardous heavy metals. 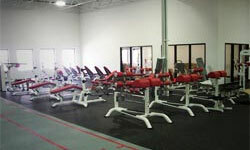 We understand your multi-function facility is demanding on its floors. 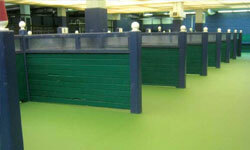 From bleacher loads to athletically-charged games, you need indoor sports flooring options that are time-tested with beautiful, long-lasting aesthetics and unfailing durability for the life of the product. You get all that and more with Dynamic Sports Construction, Inc. We are prideful of the fact that we are a full-service contractor. 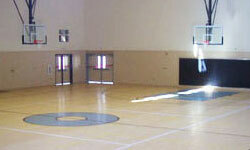 Our own experienced personnel handle the installation of each of our indoor sports flooring systems. We do not rely on a network of sub-contractors, so you’ll receive our exceptional customer service throughout every step of the installation process. The competitor’s products that I saw concerned me because they all had seams. Animals are messy and when you hose down the floor it seeps into cracks which can cause problems with the flooring. I also found it to be beneficial that it curves up the wall so there isn’t a seam on the wall, either. It makes it very easy to clean and maintain. 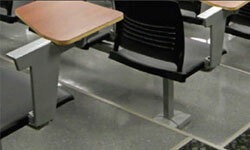 We’re able to take care of surface stains with soap, water and a little bit of scrubbing. The traction that the floor provides has been very helpful for our animals’ safety. The biggest reason we chose Dynamic was their attention to detail, they promised to help us solve our problem and stayed true to their word. They didn’t pull any punches and were very honest, forthcoming, and quick to respond to any questions we had. They treated the facility like it was their own front room and seemed to genuinely want it to look presentable for everyone. We researched many flooring options and were intrigued by a floor that performs like wood but is made with polyurethane rubber. Our athletes love it. DynaSelect is easy to clean and no worries about moisture. I would highly recommend this floor for basketball and multipurpose activities. My floor looks GREAT! The foreman was very knowledgeable and informative about the project. He kept me updated on the project and was very thorough and helpful. I would recommend your company to anyone who asks. Thank You! 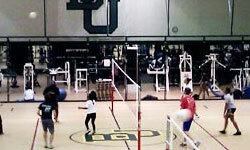 Dynamic Sports Construction Inc. is a “#1 Class Act”. Their construction crew was clean, quick and efficient. The work was quality and the floor turned out to be exactly the same. The Sales Representative made the process easy and his team did excellent work. I would definitely do business with them again.